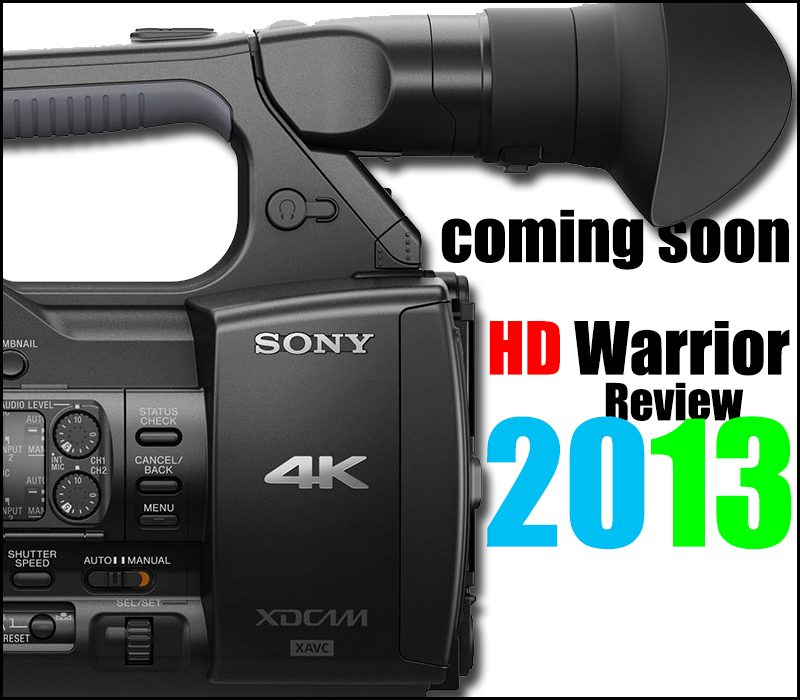 During September 2013 Sony announced the PXW-Z100 and the semi Pro FDR-AX1, both camcorders are capable of filming 4K and HD. PXW-Z100 is 10 bit 4:2:2 XAVC and has an HD-SDI socket. XAVC allows 7m record time on a 32G XQD card. 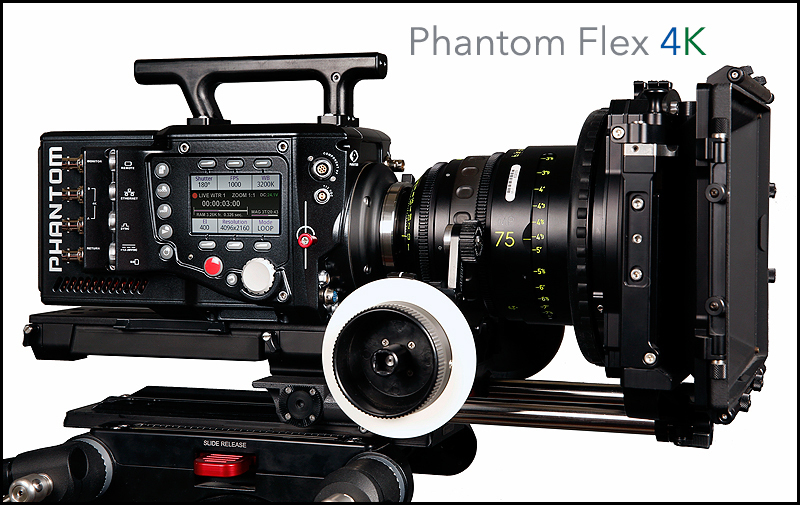 A free firmware update is planned for the middle of 2014 to support the LongGOP mode for extended 4K recording time and to add support for AVCHD recording via the SDHC card socket. FDR-AX1 is 8 bit 4:2:0 XAVC “S” which is significant as it uses a wrapper unlike the XAVC. The XAVC “S” does allow 16m record time on a 32G XQD card. No HD-SDI socket and will also include the free FW update during 2014. Also during September Panasonic announced the HPX 270 Micro P2 camcorder. 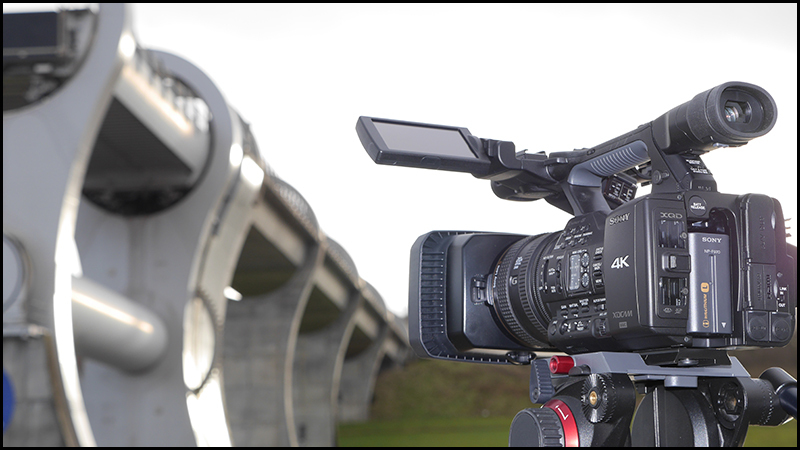 The AJ-PX270 is the first P2 HD handheld camera recorder with AVC-ULTRA recording and built-in microP2 card slots.In addition to the established AVC-Intra100, it has AVC-LongG for extended recording and AVC-Intra200*2 for master level recording. AVC-LongG25 enables extended 1920 x 1080 10 bit 4:2:2 broadcast-quality recording (four times longer thanAVC-Intra100). A newly designed, built-in, compact 22x zoom lens covers a wide range from 28 mm to 616 mm. Three lens rings (Cam-Type Zoom, Focus, Iris) provide comfortable manual control similar to interchangeable lenses. The newly developed high-sensitivity and low-noise 1/3 type 3MOS sensors produce superb image, even in dim light. Two microP2 card slots enable the ultimate cost-effective operation. The microP2 card, with the same reliability of the P2card, can be used without an adapter. Simultaneous recording is also possible for backup use.A wireless LAN dongle*2 is available (a 3G/4G/LTE dongle is scheduled for use in the near future). These network function make workflows more efficient. For example, low-bit-rate proxy*3 and metadata are quickly and easily transmitted. Also during September Panasonic announced a shoulder mounted AG-AC8 camcorder. The shoulder mounted Full-HD 1080P AVCCAM features exceptional ergonomics and functionality, simultaneous recording to dual SD Cards, 21x optical zoom and intelligent auto mode (iA) with up to 50x zoom. The AG-AC8’s exciting feature set makes it perfect for a range of professional and semi-pro users that require the best performance in applications such as weddings, business seminars and conferences, documentaries and nature films, sporting events and other events and shows. Featuring the same sensor and exceptional image quality as the ARRI ALEXA, AMIRA records superior HD 1080 or 2K pictures that are suitable for any distribution format. With a dynamic range of more than 14 stops, low noise levels, subtle highlight handling, natural color rendering, breathtaking skin tones and speeds of up to 200 fps, AMIRA will deliver stunning, life-like images. 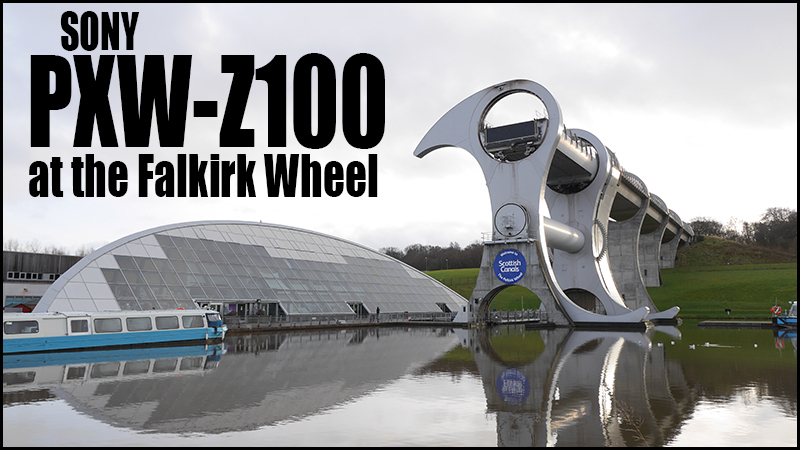 The weather in Glasgow has been very poor so much so it has hindered my review of the Sony PXW-Z100, fortunately yesterday (Sunday) looked slightly better, cold but no rain, so I charged off to Falkirk to film the world famous Falkirk Wheel. First problem was drive space, the PXW-Z100 in 4K 50p mode gives you 7 minutes of footage on a 32G card ! Now in my Super 8mm film days that would equate to 100 ft of film, not bad but every shot had to count. The wheel rotating from start to finish takes 4m 43s ! I changed tac and decided to use 1080 50p the next surprise being 16m or 31m at 25p, I decided to stick to 50p as most of what I was filming moved. The XAVC codec is heavy on drive space plus to engage 4K filming with XAVC you need an XQD S Series card. The Lexar above is £322 at Play.com, H Preston Media is showing the Sony 64G S Series cards for £449 each. 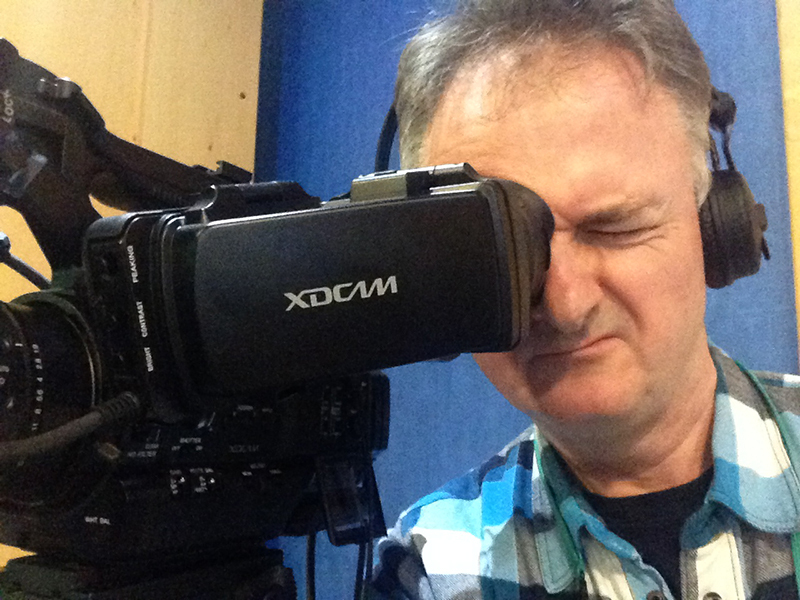 Filming with two Sony 64G XQD “S” cards at 4K would give you 28 minutes of fantastic footage but at a cost of £898. 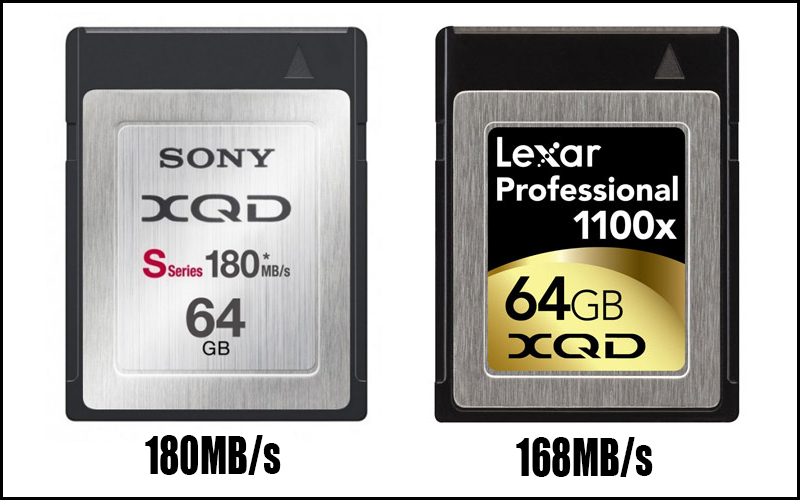 I realise this technology is new and pictures to die for but once again Sony needs to address the cost of XQD “S” cards to help bring this 4K format to a wider audience. Even in HD mode the XAVC codec excels, the pictures from this 10bit 4:2:2 Sony PXW-Z100 camcorder are the best HD pictures I have seen in a long time, I will film studio and PTC shots in true 4K this week, as I am limited to 7m I can’t shoot outside the studio on location as I have no way of backing up my 4K footage. I do realise a 4K enabled external recording device would be a good alternative, time wise, but I like the convenience of the XQD cards and less to go wrong. You will notice Slog3, and SGamut3.Cine added in this release. We will explain in detail about this in January with a white paper. S-Gamut3.Cine is (DCIP3). S-Log3 is a log signal with 1300% dynamic range, close to Cineon Log curve. This does not replace Slog2, SGamut, it is added as another choice. This was Panasonic’s latest broadcast P2 camcorder giving exceptional performance at 4:2:2 10bit 1080 50p with slots for both P2 and micro P2 and the newly developed AVC-ULTRA codec. Capture every stunning detail with this advanced Full HD shoulder supported 1080/50p camcorder. The GY-HM70 is equipped with a high quality 29.5mm wide-angle GT lens that offers smooth 16x dynamic zoom performance*. The camera records on two SDHC or SDXC memory cards in the AVCHD Progressive format at 28Mbps. And its unique dual battery system keeps you recording for hours and hours since the batteries may be hot swapped during recording. Never before has this much performance been packed into an affordable, professional shoulder supported camcorder. Many people who bought into the 600 series of camcorders would have prefered JVC to have spent the time and effort to produce a 1080 50p GY HM650 rather than the HM70 a lesser spec model. Sadly Blackmagic had sensor difficulties holding back the 2K version of this camera, clashing with delivery and the 4K announcement did nothing to bolster sales of the 2K camera with 4K version still not available till January 2014 ! Sony decided to bring out a CMOS version of their popular broadcast PMW-500, this gives news cameramen and women a dilemma when choosing the right tool for the job as both the 400 and 500 are 50Mbps it’s down to the chips CCD (500) or CMOS (400). While everyone had hoped Canon would update the XF305, they decided to bring out an entry level professional hand held camcorder instead. The PMW-300K1 XDCAM camcorder is equipped with three 1/2-inch Exmor™ full-HD CMOS sensors, capable of delivering high-quality images even in low-light environments. Ample support for interchangeable lensand a robust metal body further ensure that PMW-300K1 is suitable for a wide range of applications. Additionally, the PMW-300K1 offers a convenient remote-control and multi-camera operation capability, which allows use with high-end camera systems. 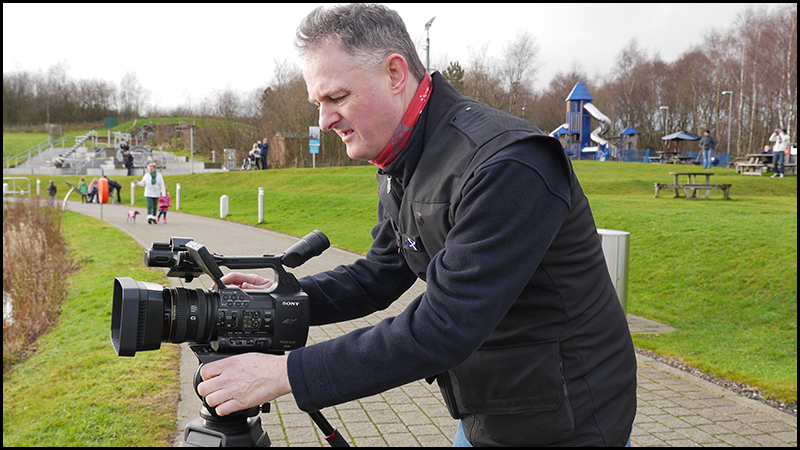 This camera brings us XAVC at 10bit 100Mbps quality far superior to the EX3, having used the camera on a shoot myself the build and pictures were exceptional not to mention the high spec viewfinder. Tomorrow I will continue my journey through 2013 from September to December. 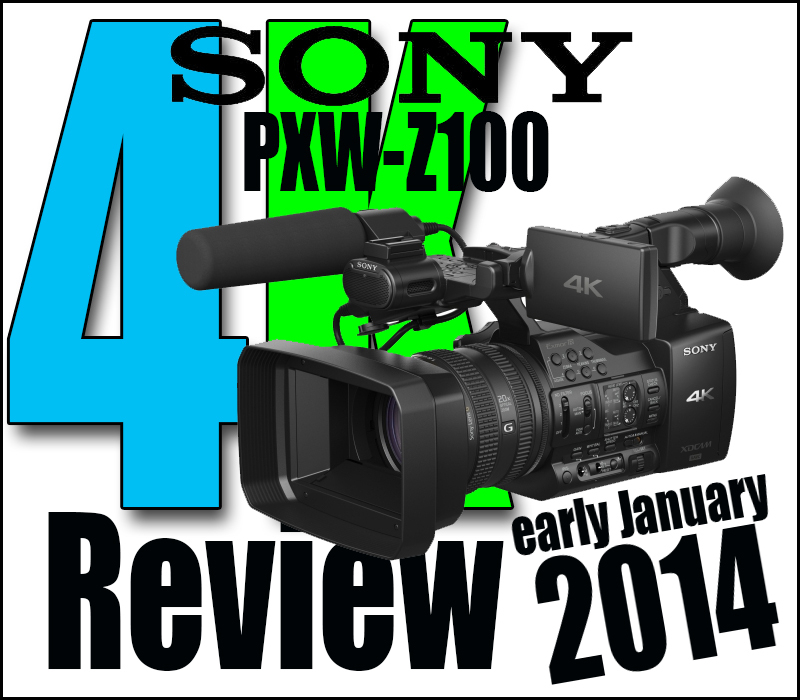 Sony have pulled out all the stops for me to get a PXW-Z100 over the festive period…fantastic. The 4K XAVC codec will be a joy to test on my new FCPX 10.1 iMac…I hope they remember to send a 32G XQD card with it ? 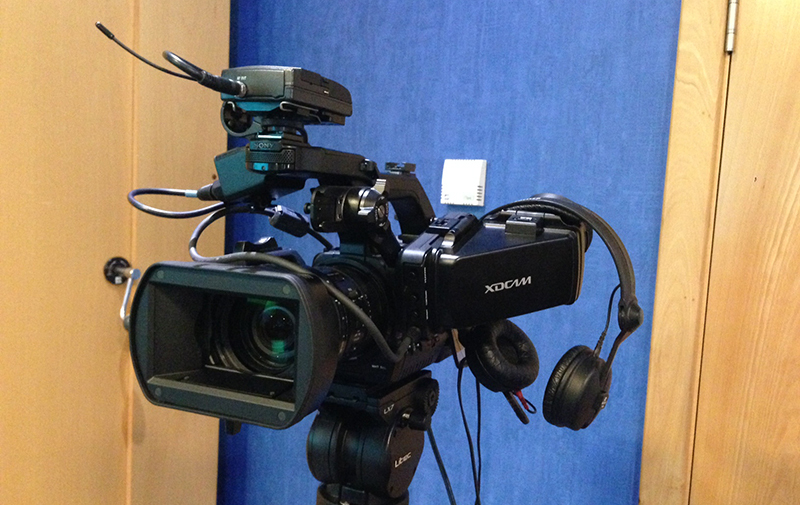 This will be a fitting start to 2014… a 10bit 4:2:2 camcorder recording both 4K and HD. I predict the new year ahead will have a few new 4K surprises. Let me leave you with a look at a 16 camera 4K multi-shoot Sony filmed in Italy earlier this year…stunning. 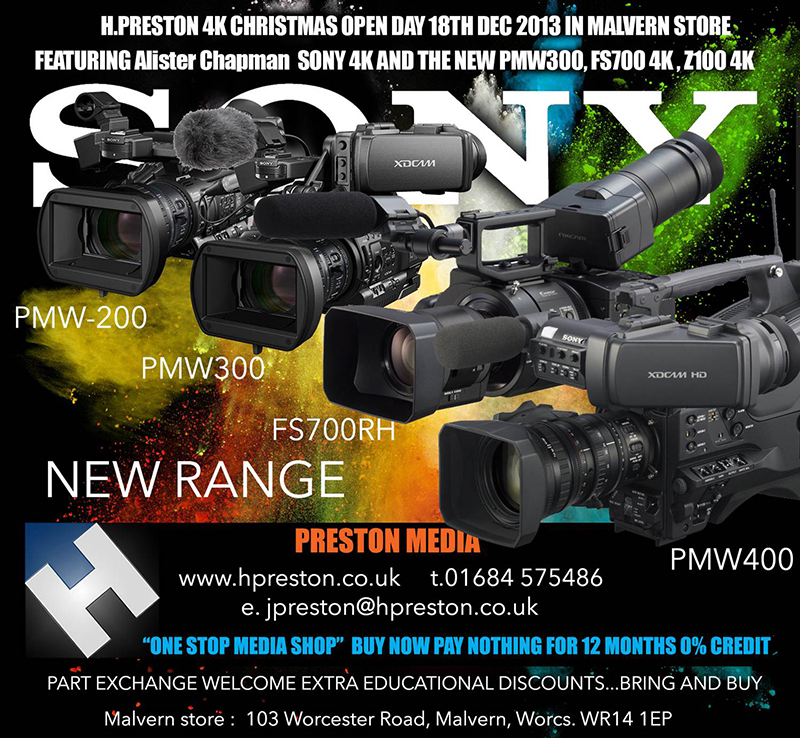 Yes its that time of year again where we look back at all the kit from Sony, Panasonic, Canon, JVC, Arri and Blackmagic. I got a phone call from the boys at 2000 Television, a national crew hiring company I do work for asking me if I could fill in for a crew member who had fallen ill. 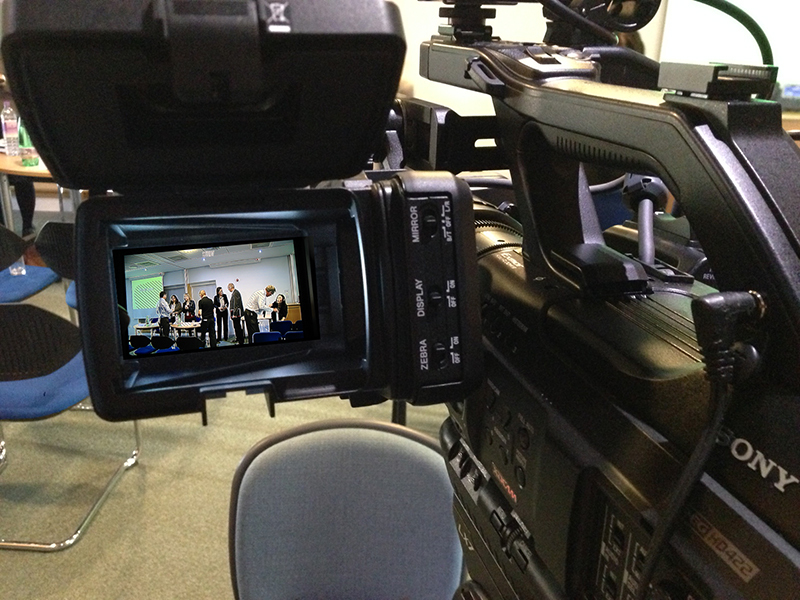 The job was down in Renfrew filming a conference with 2 cameras belonging to Slinky Productions from Birmingham. Slinky have 2 of the latest Sony camcorders the PMW-200 and the PMW-300, I was filming with the PMW-300. The new viewfinder on the 300 is superb as is the picture out of the camera, I was set to -3dBs and the camera still had “f” stops to play with. This camera must be one of the first production models to hit the UK and Slinky are delighted with their purchase. The viewfinder can be angled in various positions with all the user controls on the front and back, a well thought out, usable sturdy viewfinder. 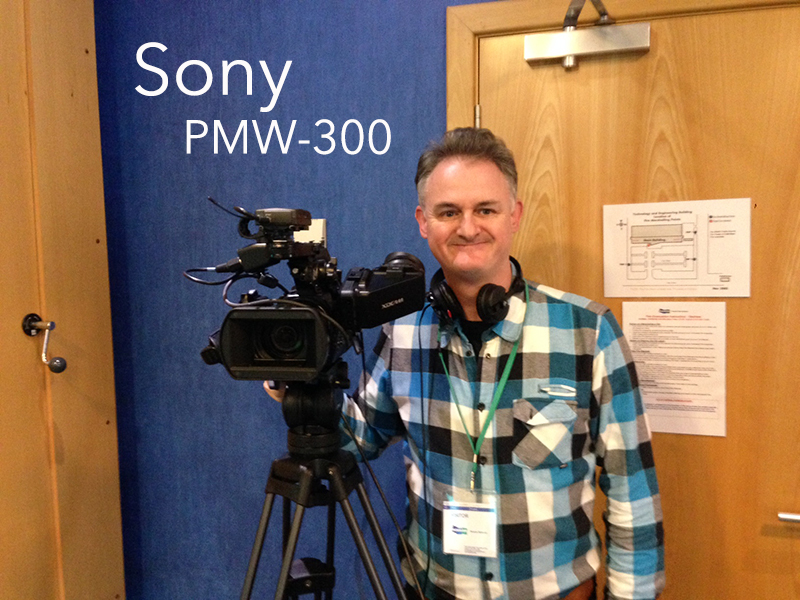 My first look at the Sony PMW-300 was at IBC this year and it was a delight to use such a new camera in a real life situation. 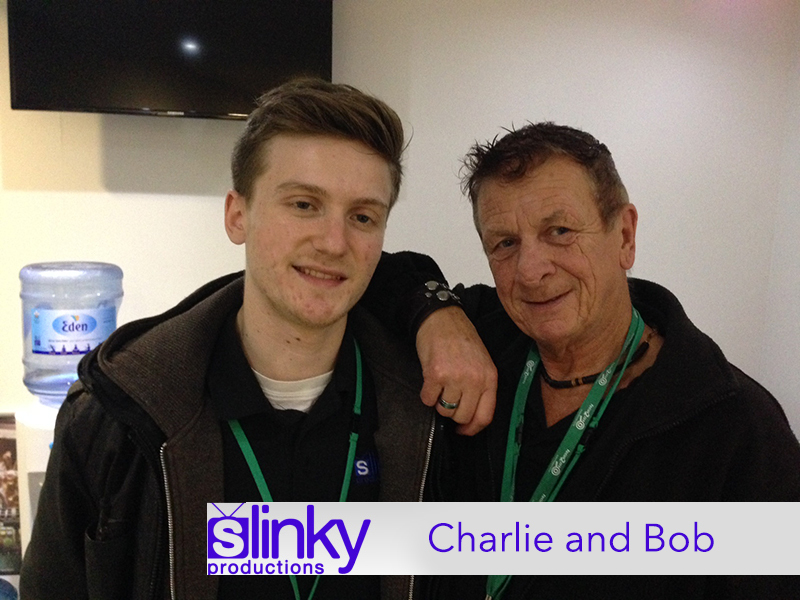 The crew from Slinky Productions Charlie and Bob were a delight to work with, we filmed onto 32G SxS cards using 720 25p, and will be edited in Premiere Pro. PS. I hope Steve gets better soon. 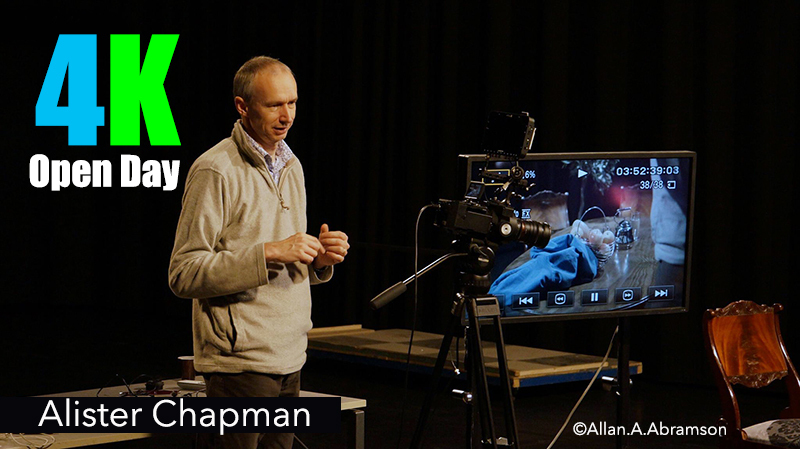 Why not spend a day at H Preston Media tomorrow where Alister Chapman is giving loads of advice on 4K cameras from 4K enabled Sony FS700 to the PXW-Z100. There will also be limited stock of the Blackmagic Pocket Camera.